Learning to work with a team is one of the most important lessons a person can learn. Many of us begin this journey as children, when we play sports. And for those of us who have athletic talent, this can turn into a passion. This was the case for Javier Feliciano, chief human resources officer and executive vice president of Meritage Homes. When he was growing up, he wanted to be an athlete. “I loved being an athlete,” Feliciano says. “I loved being in the team environment.” He dreamed of becoming a star basketball player. He’s tall enough to do it, too, standing six feet seven inches tall, the last four inches of which came during his college years. But this dream wasn’t realistic, he says. Even though he loved the sport, he didn’t have the talent to compete at the highest levels. His parents had always made it clear that getting a college degree was expected. So, he followed their vision of earning a college degree and found the world of human resources. Being in HR allows Feliciano to make a positive impact on people’s lives while being part of a team. Specifically, he has elevated Meritage Homes’ HR department by building up its team, and now he’s leading the development of the company’s new core values. HR wasn’t Feliciano’s first pick for a major. He studied criminal justice as an undergrad at Michigan State University and considered law school as he neared graduation. “But, it wasn’t the right path for me,” he says. What he did know is that he wanted to break into the business world. “I wanted a place in business where I could make an impact on people’s lives while in a business environment,” he says. Growing up, Feliciano didn’t know any business leaders, and he had no exposure to that type of work. He found HR partly by accident, he says, after going to an informational meeting during college and falling in love with it. From there, he went on to earn his master’s degree in labor relations and HR, also from Michigan State. 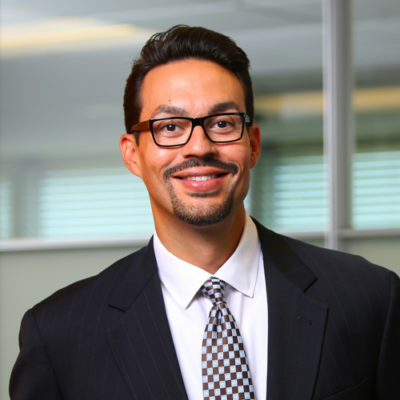 Prior to joining Meritage in 2015, Feliciano held several positions in HR, at companies such as Ford Motor Company, PepsiCo, and the Apollo Education Group. This wide variety of experiences helped Feliciano develop a deft, agile style to his HR work. “I was very purposeful in building my career,” he says. He chose companies renowned for their HR functions and practices, knowing it would be good to have them on his résumé if he wanted to be the head of an HR department. And, he completed the Ford Motor Company HR Development program, taking on challenging assignments, relocating for key experiences, and building a strong foundation of HR knowledge. It was his skill set and experience that caught Meritage Homes’s eye. Feliciano credits his education and previous experience with giving him a solid foundation for making decisions at Meritage. Feliciano works with leaders to develop strategies to identify the best candidates for the company. And once they’re hired, he also looks for the best ways to develop and retain them as the most talented employees in the homebuilding industry. How he does this is by aligning the HR team’s objectives with the business strategy to ensure that the team is enabling the success of the broader organization. One of his biggest tasks was recreating the company’s core values, which help guide employee decision-making and propel the company’s culture forward by setting the standard for how employees engage with each other and customers. Shortly after he began at Meritage Homes, Feliciano started working with his colleagues to develop the six values. This was important for a number of reasons, the primary one being that several of the top executives at Meritage Homes, like Feliciano, wanted to establish a new set of values that would embrace the past and also shape the future of the organization. This is about valuing the people that Meritage employees work with and assuming positive intent in each interaction. Thinking beyond the moment and innovating with the customer in mind is about encouraging new ideas and supporting these efforts. Meritage Homes builds energy-efficient houses and has won multiple awards because of this.